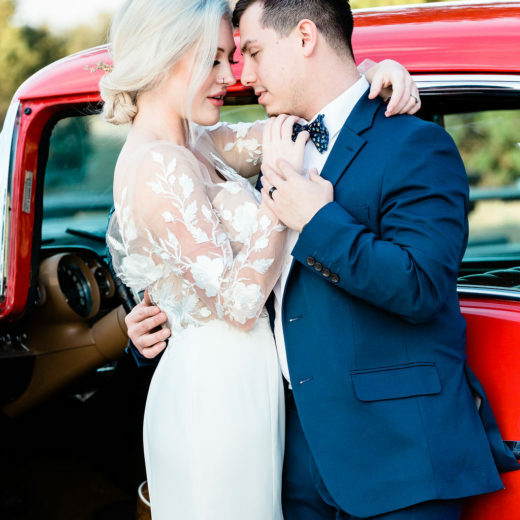 Classic navy and white will always be on trend. 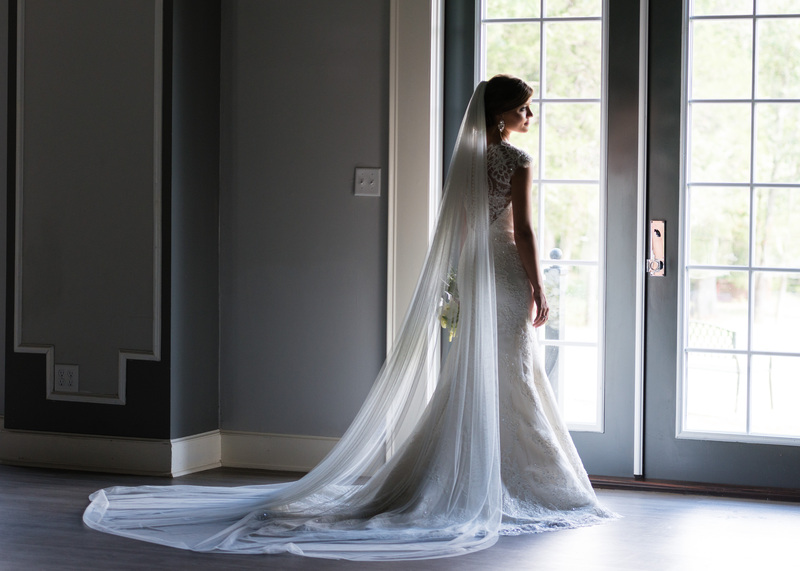 Its versatility allows for interpretations from informal brunch to formal evening wear. 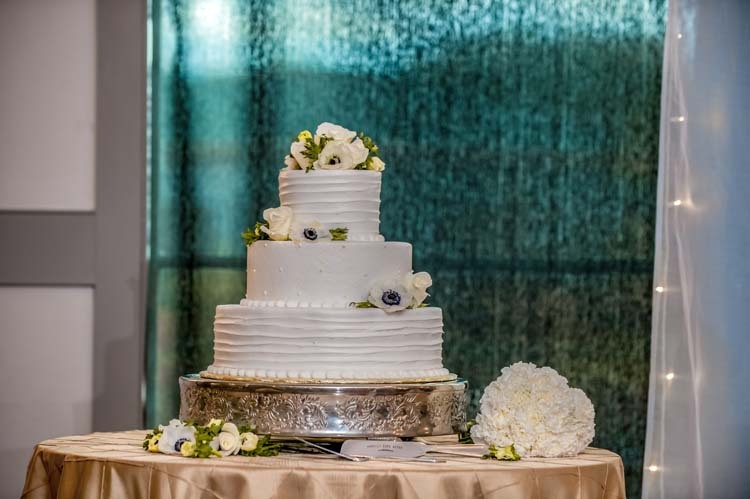 This pairing also works well year round, creating endless opportunities to add personal touches to celebrations throughout a couples engagement. 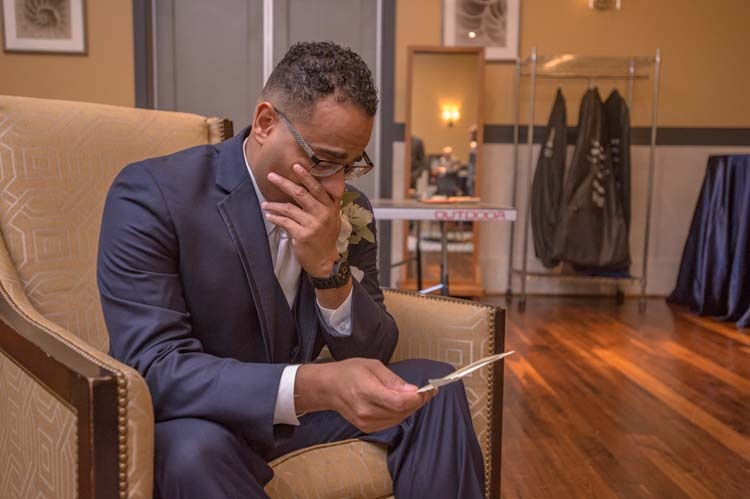 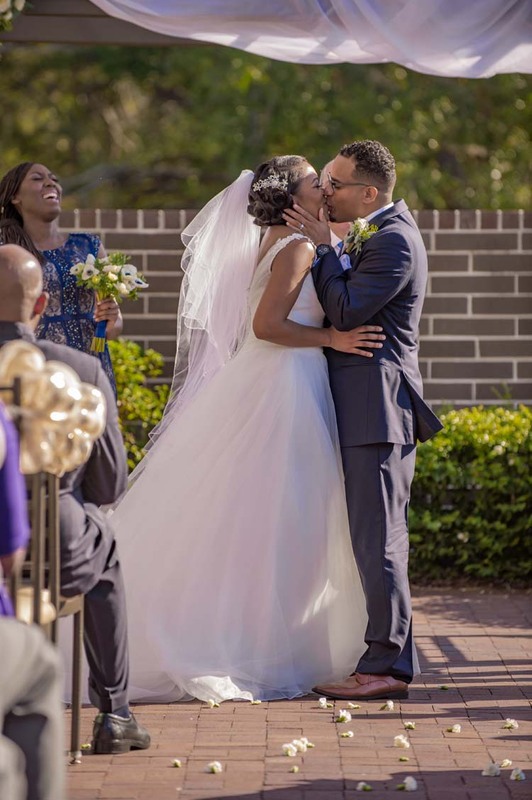 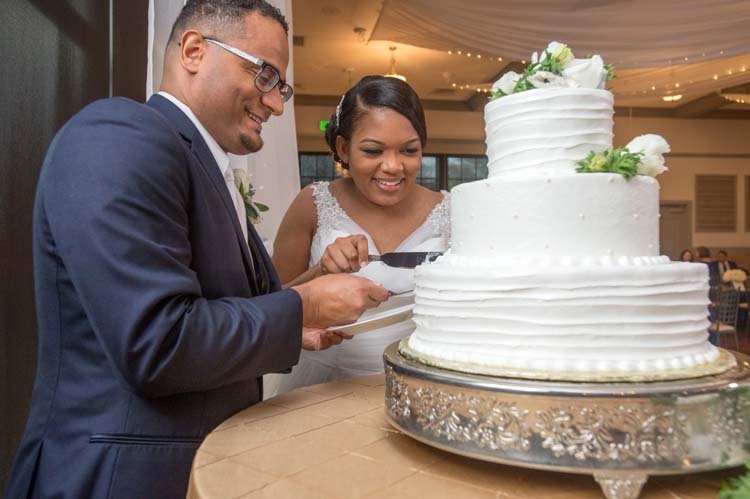 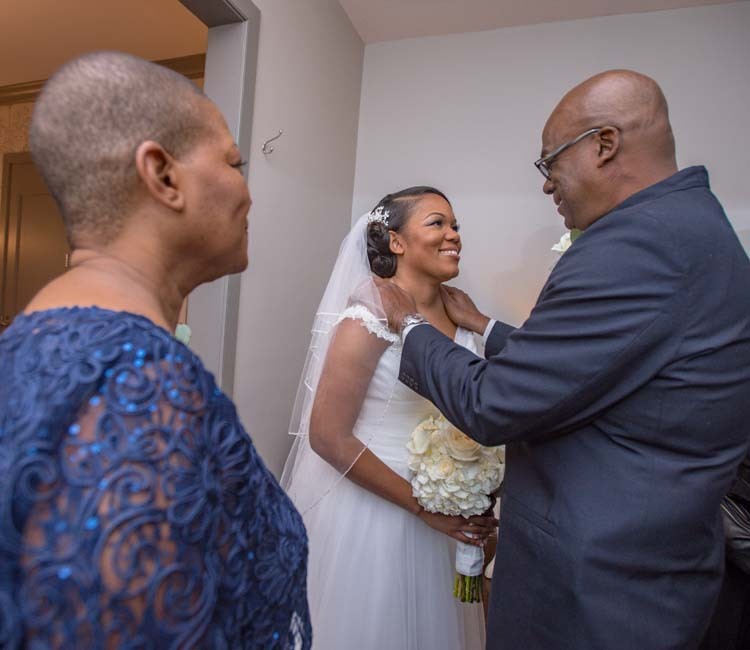 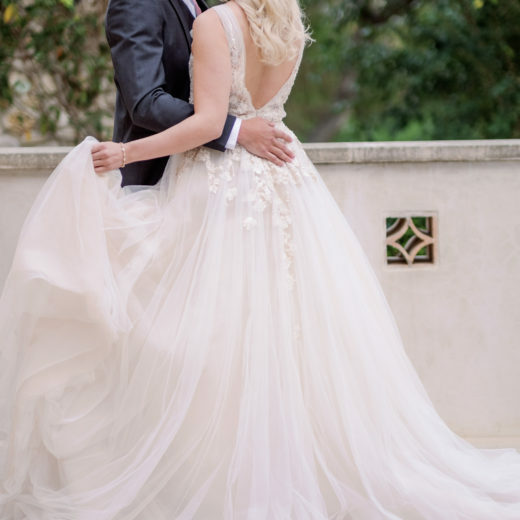 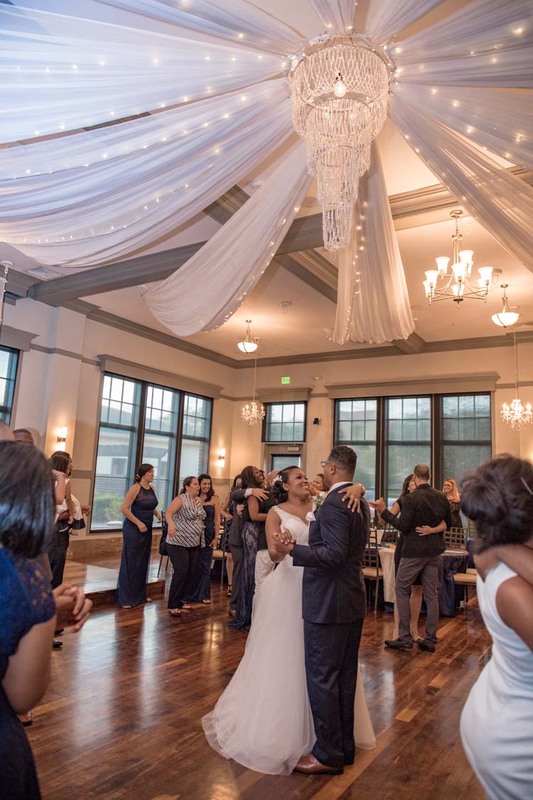 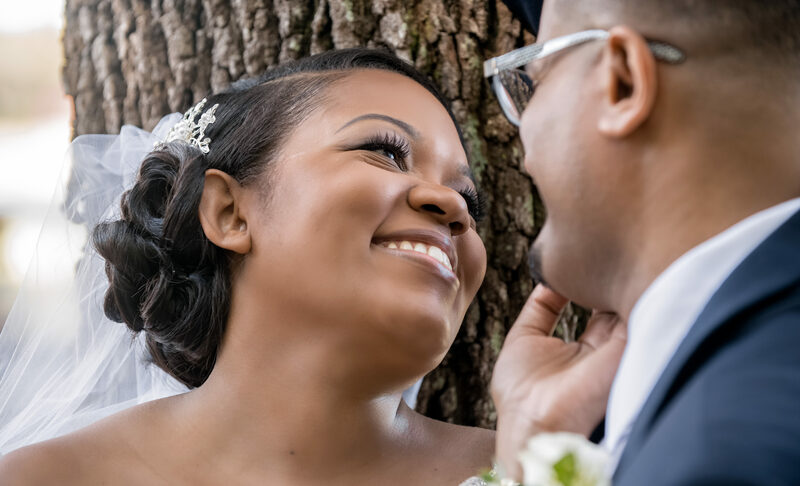 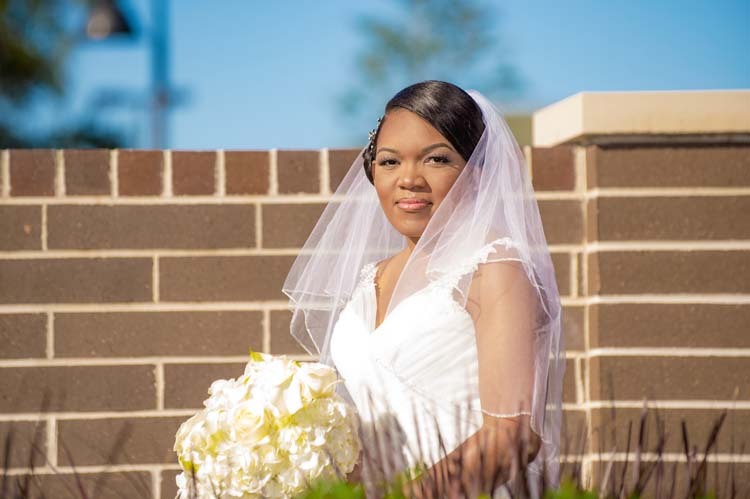 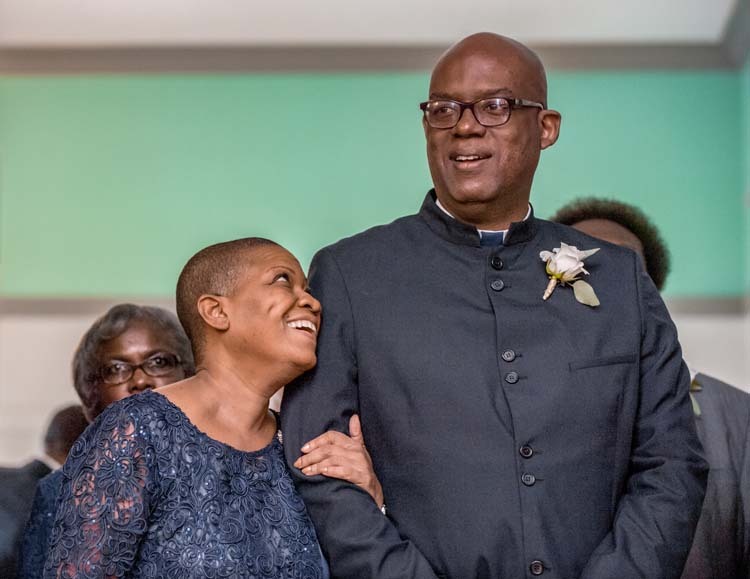 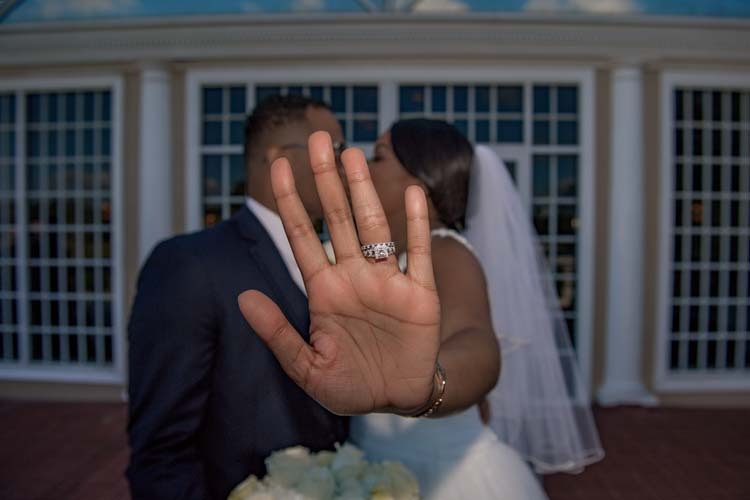 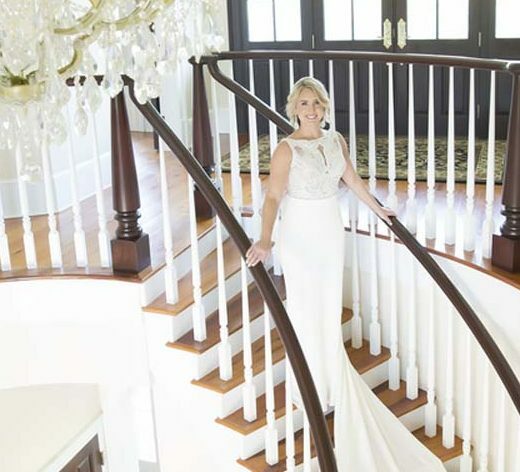 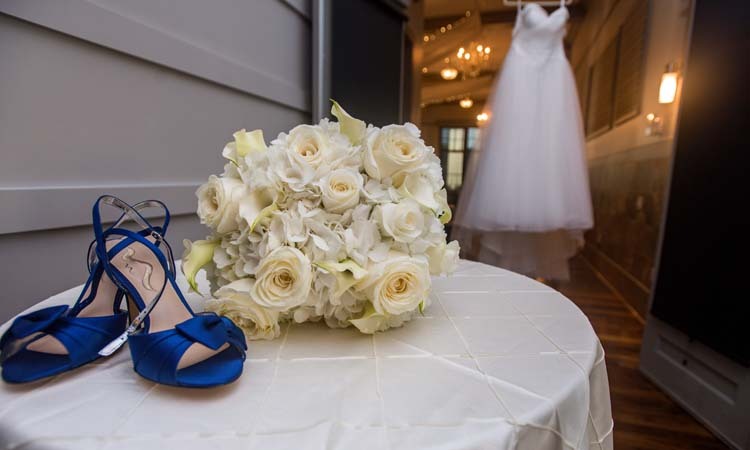 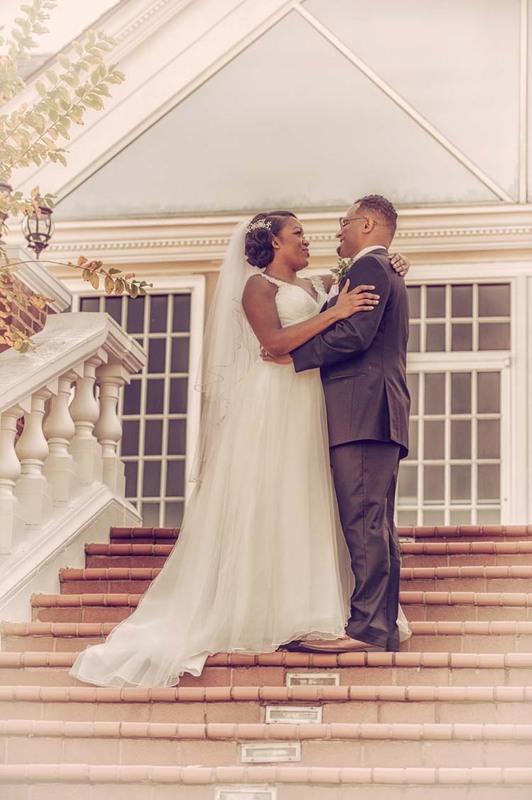 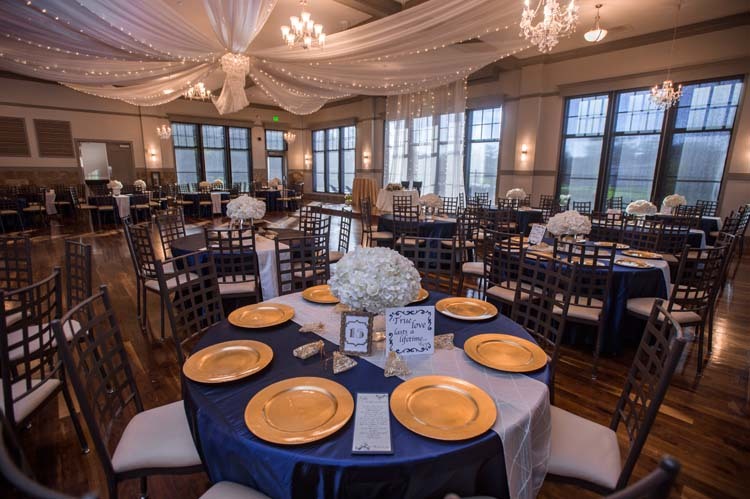 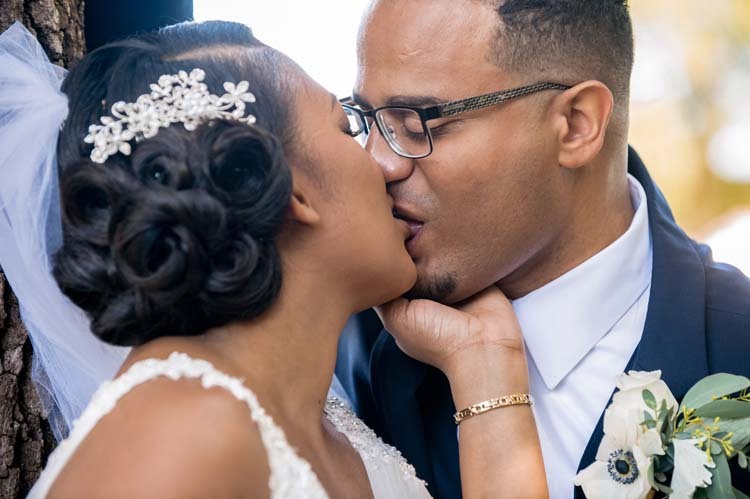 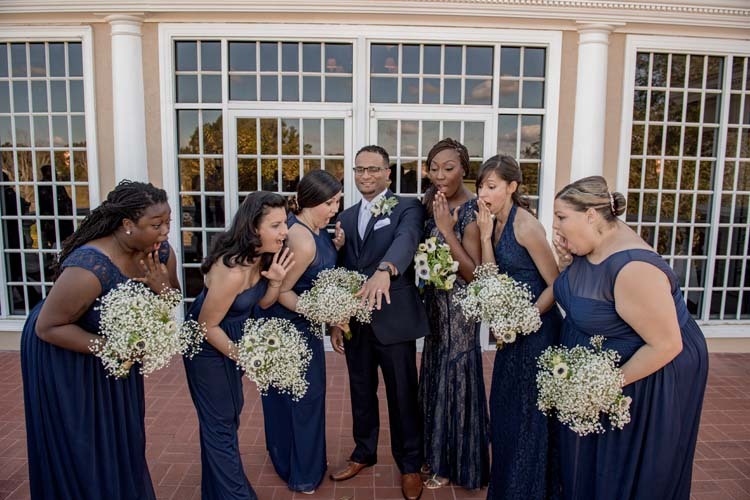 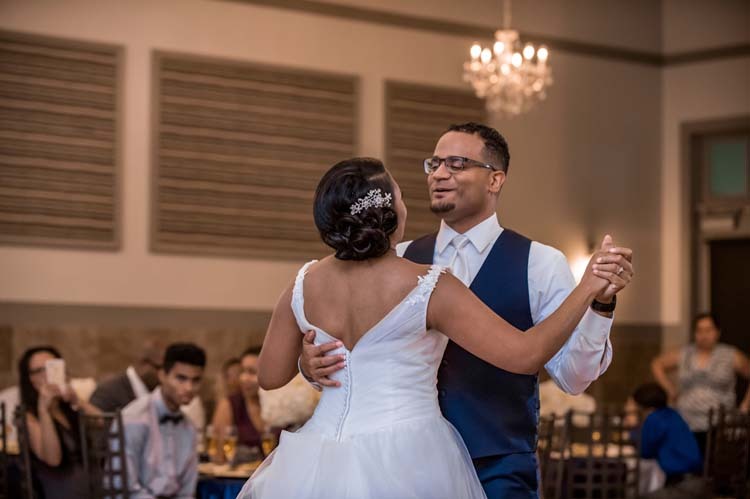 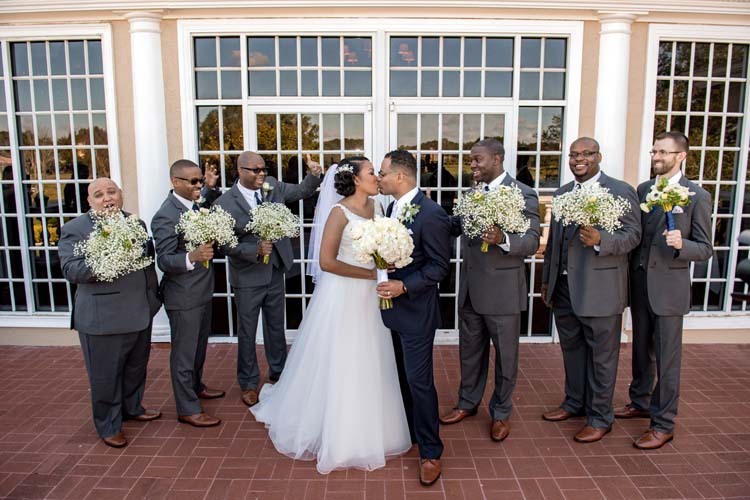 Chanti Leito and Joe Williams’ navy, ivory and gold wedding was a beautiful demonstration of their love and faith. 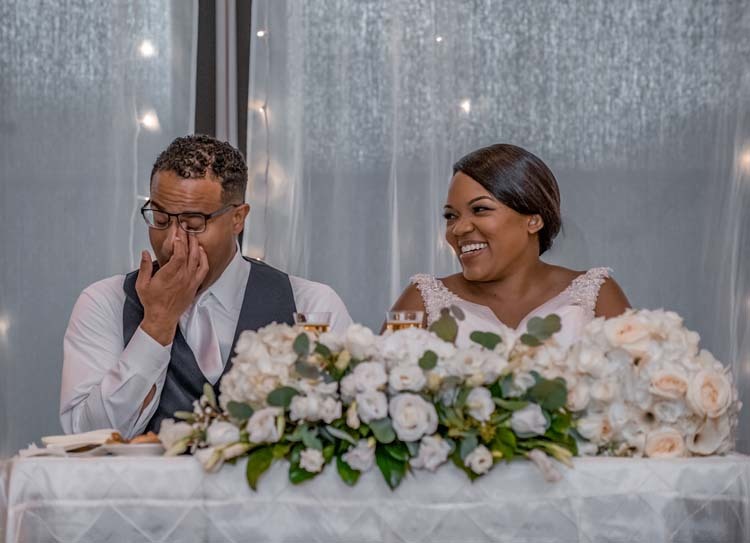 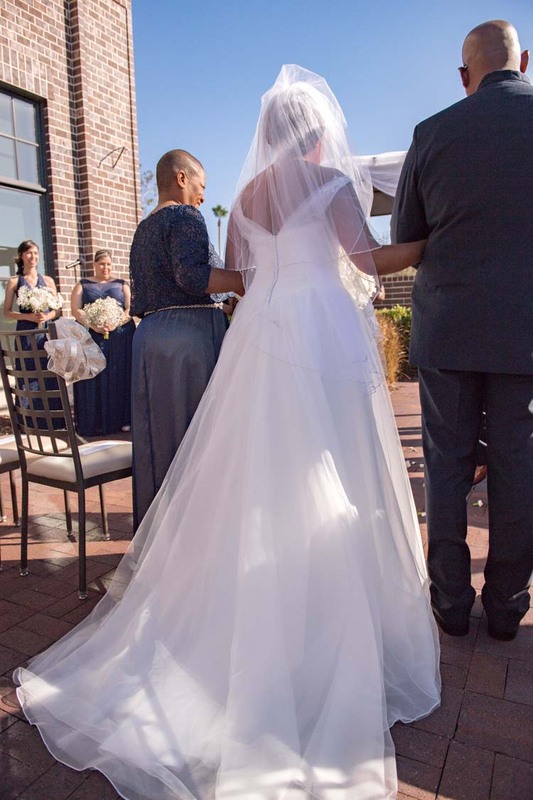 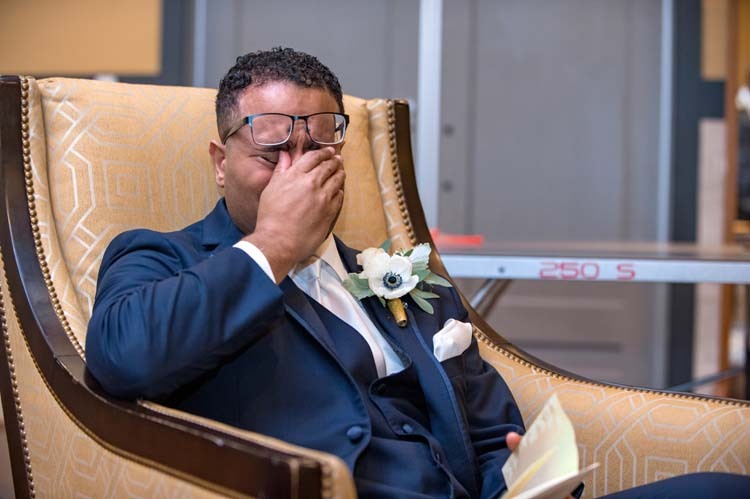 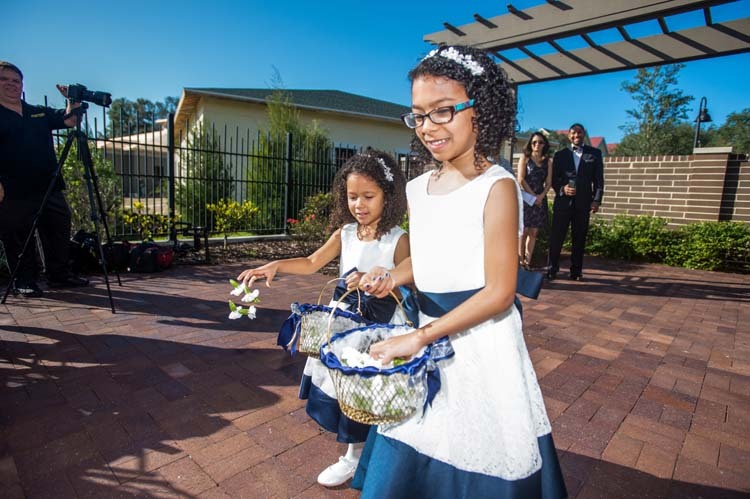 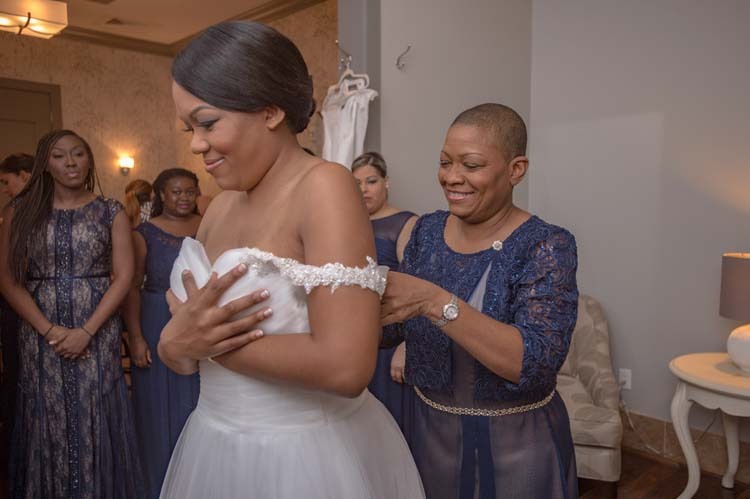 The bride’s mother, who had been diagnosed with cancer, was unsure if she could travel from Puerto Rico to central Florida to see her daughter walk down the aisle. 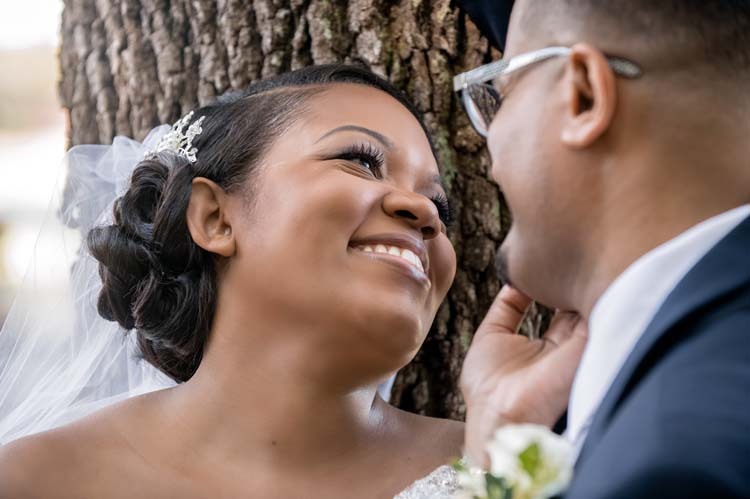 Fortunately, her prayers were answered and she was able to see Chanti marry the man of her dreams. 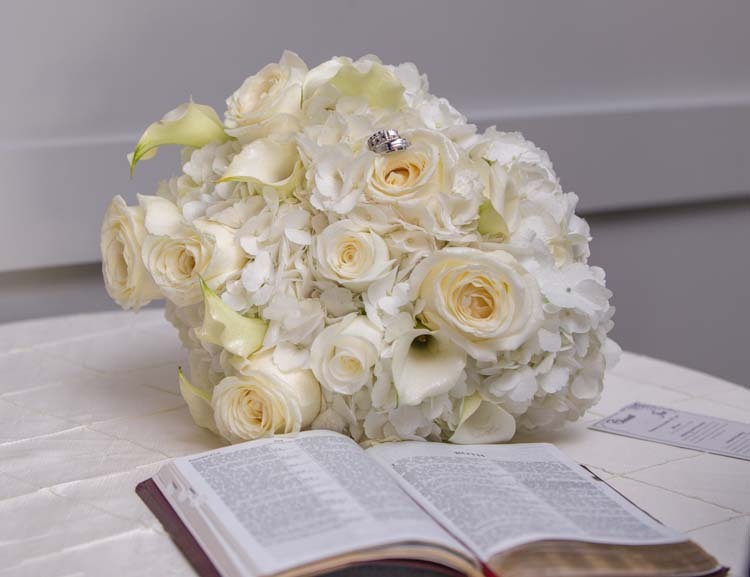 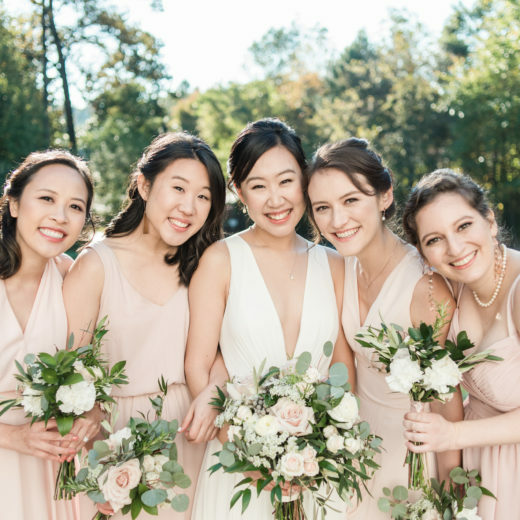 Faith was the centerpiece of this wedding. 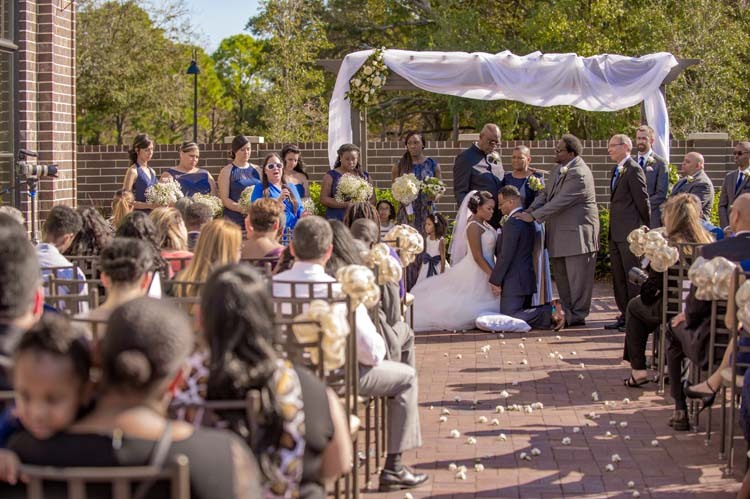 The emotional ceremony included a prayer circle. 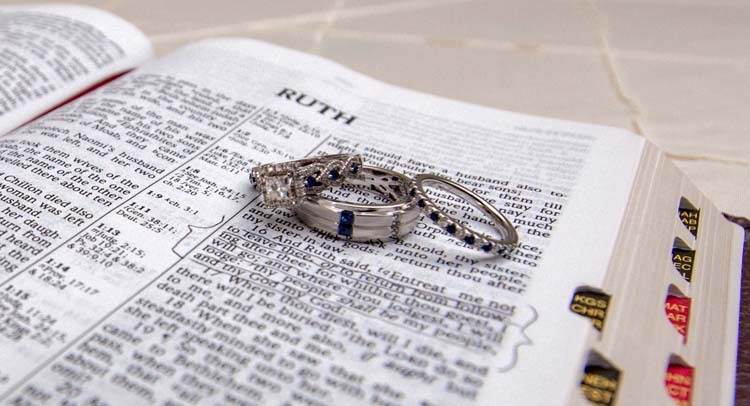 Signage and a Bible opened to a passage in Ruth highlighted the theme of togetherness and unity: Where you go, I’ll go. 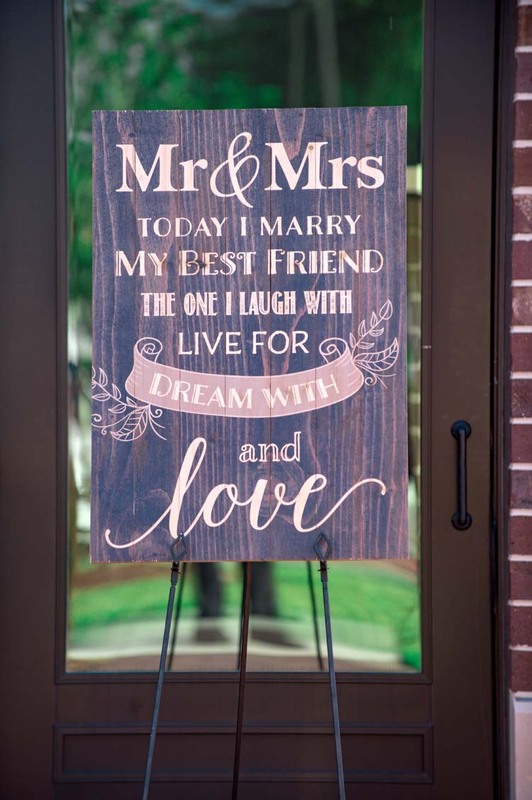 Where you stay, I’ll stay (Ruth 1:16).